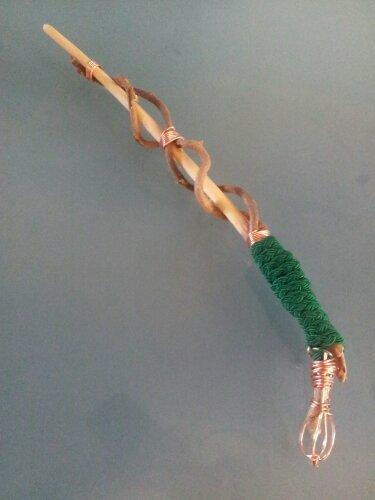 Fantastic hand-made hazel wands available. 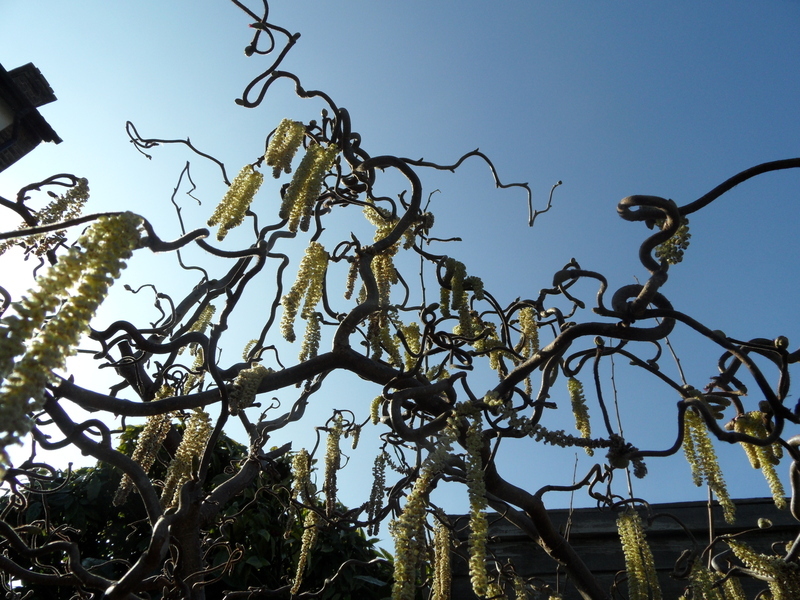 During Beltane in recent years, I’ve tended to coppice or prune my corkscrew hazel tree and make a few things from what I’ve taken off instead of throw them away. I have examples such as my Sistrum, and my much loved wand and staff. There are only so many wands and staffs one person can have, even though I find much enjoyment in handling the wood and making things, I’ve not got to the point of what to do with this wonderful wood each year? Well, perhaps if anyone is in need of a hand crafted twisty bit of hazel most likely fashioned as a wand then let me know. I don’t take much from the tree, only what I need to keep it under control, so I can’t make any promises of what wood I will have in any one season, but I can say that coppicing of such a fast growing and wonderful tree encourages more growth each year. I don’t want this wood to go to waste! Talk to me, either you can have the raw wood, or I can make something for you from whatever this wonderful tree is willing to offer me where we both share an understanding.